DentalWorkers Rings In The New Year With Savings For YOU! I Want To Save 10% - Tell Me More! 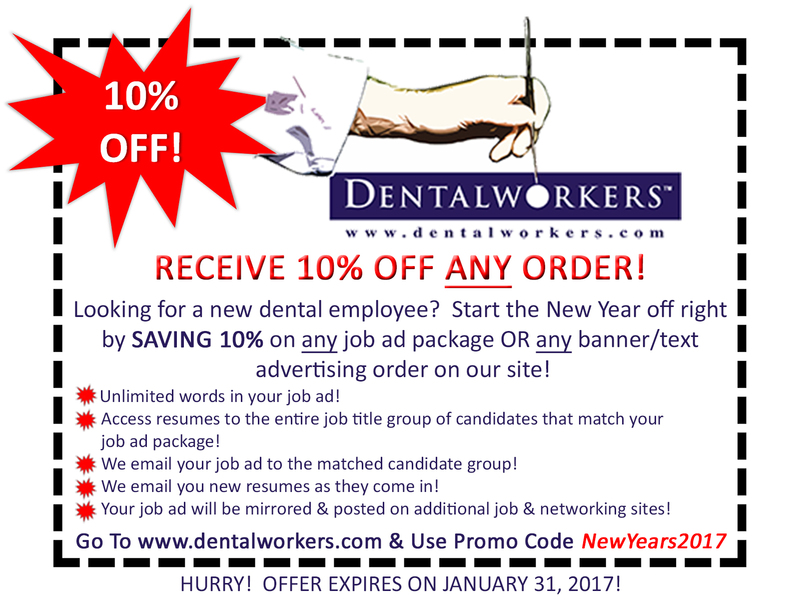 We trust all is well in your practice, and whether you are expanding or replacing a dental employee who has left, we want to make your recruitment process a little sweeter for you by offering you a ten percent discount of any order you place on our site, through January 31, 2017! Got a Text ad or Banner ad you would like to display CALL US NOW at 1-877-235-9855, Extension 1 to take advantage of this amazing savings opportunity!